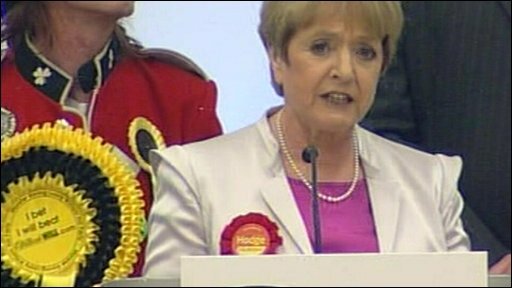 Labour's Margaret Hodge held the seat of Barking, a key BNP battleground, as Nick Griffin slumped to third place. Ms Hodge said the BNP's "vile politics" had no place in British democracy. "The message from Barking to the BNP is clear", she said. "Get out and stay out, you're not wanted here."